Di Maria’s Paint Factory produces from 1925 varnishes and paints for professional construction and products to refine sanitize and personalize the environments. Di Maria’s Paint Factory counts more than 2,000 retailers throughout Italy as its customers. Di Maria’s paint Factory has been able to adapt its long history to the passage of time thanks advanced technologies and products in line with market requirements. Today, thanks to a business philosophy based on high quality and extensive product catalogue, Di Maria’s Paint Factory has become a point of reference throughout Italy in the field of varnishes and paints for the building industry. The core of Di Maria’s business activity is a careful attention to product quality and processes of production. Technicians and assistants daily control all raw materials inland, semi-finished and finished products. Another technician is responsible for the management of dust and volatile organic substance waste disposal facilities, as well as wastewater purification. Careful and constant work to ensure the highest quality ever. Safeguarding the environment and sustainable development are two of the pillars of production providing also a line of enamels perfectly suited to the revisions regarding the emissions of Compounds Volatile Organic Products coming into force since 2010. Di Maria’s Factory has been located since 1972 in the new industrial zone of Palermo, in a strategic position that allows a fast connection to the motorway network. Di Maria’s Factory has a long family history based on passion for one’s own work and desire for continuous professionalism improvement. Francesco Di Maria founded the company in Palermo and it became a joint stock company in 1969. 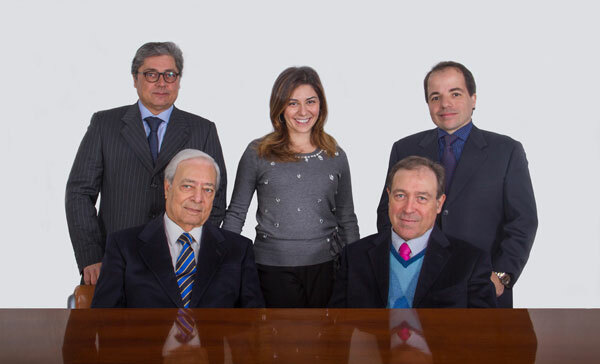 The history of the Company continues thanks to the work of three children: Cavalier Giuseppe Di Maria, as President; the Cavalier Giovanni Di Maria, as Director of Commerce; the Cavalier Emilio Di Maria, as technical director. With the third generation of Di Maria, the GDM brand spread all over Italy. The objective is now to consolidate the Italian market and strengthen foreigner customer relationships through the supply of professional and high quality products.